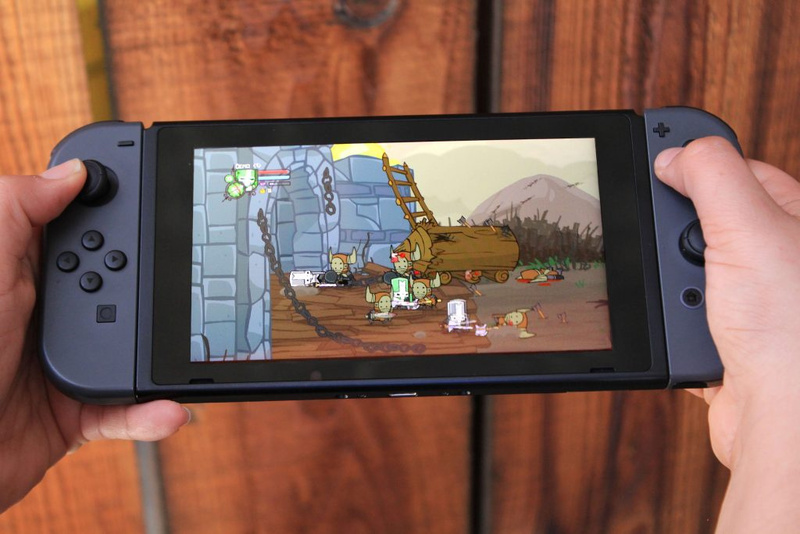 Less than a week after the initial tease, American developer The Behemoth has now officially announced Castle Crashers Remastered is coming to the Nintendo Switch. 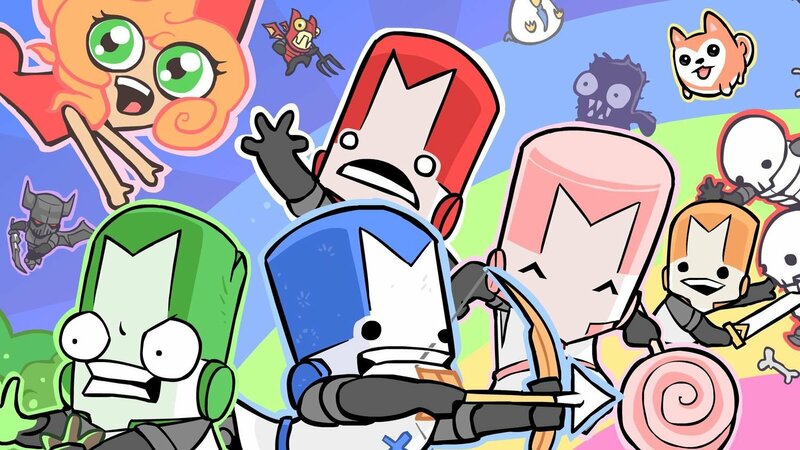 Castle Crashers Remastered for Switch will be playable next week at PAX East and is due out in Summer 2019. Are you glad to hear this multiplayer beat 'em up action game is coming to the Switch? Have you played this game elsewhere before? Tell us down in the comments. I remember this game on 360 actively hurting my eyes at 30fps, it was so much better at 60 fps in the remastered version. Great game - highly recommend. I wonder if online is friends only. "The original ran at 30 frames per second which feels kind of like a slideshow if you go back to it after trying this new one"
@SBandy i honestly can't see the difference between 30 and 60. My eyes don't hurt. I’m hyped for this. I hope they add even more content and eventually remaster alien hominid. This was always a fantastic example of how great indie games could be back when the XBLA was still a thing, I don't know if there will be enough content to warrant a purchase for me because I played the heck out of it but for first time buyers this is a great co-op game. I need to know to two things: how much will this be & what day will it officially come out this summer? 1080p 60fps. My type of game. Too bad Captain Toad or Yoshi Crafted World couldn't do that. As somebody who doesn't particularly care for indies this was a really good game. I played it alone and my kids played it co-op. This is basically one of those games that ruined me for other indies that look like they are retro or 8-bit as this was a cheap game on PS3 that looked really good. I wouldn't double dip myself, I almost never do, but I suspect the boys will want to pick this up, they really enjoyed it. I imagine them wanting to play it with family and friends. As others have said, price would be nice. I can't believe how much time I put into this game when it first came out on Xbox 360! So much time that even years later I am still burnt out on it, and it was probably the very first Xbox Live Arcade game I ever played. I loved this when I played it at a friend's house, but didn't own a system to play it on at the time. Think I'll pick it up this time! I'm very happy that tease turned out to be true. The original on my 360 was one of few reasons I kept it plugged it at all. Adding all the DLC, better visuals/performance and a new minigame makes this worth it for sure. Now if only we could get Scott Pilgrim Vs. The World.. I can surely dream. Nice addition to the Switch library! I hope they've turned off the blood so I can play it with my kids. Been playing this since the original release on the 360, upgraded to the remastered version on the XB1. When I saw the teaser for this I was more than stoked. Definitely, a must buy in my book! Used to enjoy playing this on PS3 and Steam (even ran on macOS which is nice!) Good fit for the Switch/Nintendo because of local multiplayer. I wonder how playable it is in tabletop? Does it support couch co-op as well as LAN play? @AshFoxX I still SPvsTW on my PS3 - who knew that it would be lost to the sands of time? I've heard a lot of good things about this game, but can anybody please tell me if it's a game enjoyable by a solo player? @Moroboshi876 Well, this is always subjective but for me definetly yes. Besides the four default knights there are a lot more to unlock and play as with different abilities. Lot of pets to collect aswell so not only it is enjoyable for a solo player but it also has a replay value. @Dman10 The difference is staggering when you have the two side by side. And it's even more noticeable when playing due to smaller input lag. I've heard about this game. About time I gave it a shot! Multiplayer is dead as heck. You have to wait a hour to get in a game. Maybe people on the switch will reborn the multiplayer servers?? @Dpullam Same! Was really hoping for a sequel rather than a remaster of the original. @DrawnRed I don't believe crossplay will be a thing so yeah, you'll get matched with switch players only so the multiplayer should be pretty much alive atleast for a while after launch. Discord can then keep the community going for years to come so I wouldn't be worried. i had no idea the original ran at 30. guess i never noticed. Never got to play this one before and I've heard so many good things over the years, can't wait to get my hands on this one I know it's going to be a blast. 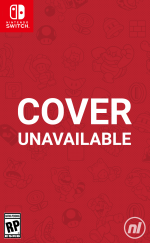 @AshFoxX Scott Pilgrim on Switch would be perfect. But I would like some new content for it. I did really enjoy playing through this game with my roomies back on the XBox. But it sure gets repetitive after a while. As much as I wanted to unlock new playable characters, going through the entire game became more and more of a chore each time. I still highly recommend this game to anyone itching for a co-op beat 'em up, but I may pass on the double dip unless the price is too good to pass up. This looks same as the X360 to me. Enough cash grab, make a proper sequel if you want my money. @sleepinglion I did not know this! I so hope they would bring Alien Hominid to Switch. I loved that game on Gameboy Advance.